During the First World War, thousands of Indigenous soldiers served in the Canadian Expeditionary Force. Like most Canadians, many Indigenous men served in the infantry with the Canadian Corps in the Canadian Expeditionary Force (CEF). Indigenous peoples’ military roles were influenced by their traditional hunting and military skills combined with the racial stereotypes held by recruiting officers and military officials. Many served as snipers or reconnaissance scouts, some of the most hazardous roles in the military. Others served in support units in the CEF, including railway troops, tunneling companies and forestry units. Despite close camaraderie with non-Indigenous soldiers, their return home was plagued with unequal treatment and marginalization. In 1919, Lieutenant F.O. 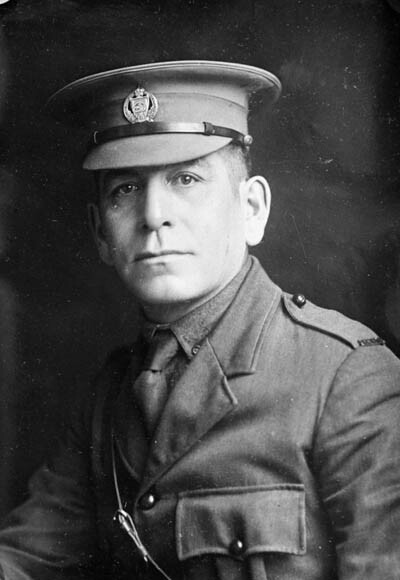 Loft, a Six Nations veteran who had served with the Canadian Forestry Corps during the war, founded the League of Indians of Canada. It sought to improve conditions on reserves and believed that a unified stance through a political organization could challenge the Indian Act that governed the lives of First Nations people. Read through his entire service file here at Library and Archives Canada. Learn more about the contribution of Indigenous Peoples during the First World War from Veterans Affairs Canada.